Songs Collection (2 CD Set), The Scottish Music Shop - The Best Selection of Scottish CDs and Scottish DVDs. 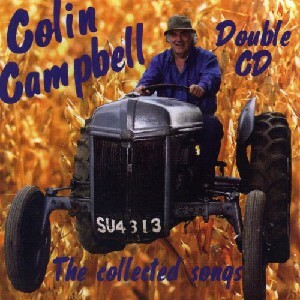 32 great songs from Colin Campbell to keep you laughing for over 2 hours! Disk 1 : Road Rage Cowboy, Perthshire Autumn, Mains of Slacktackit, Was There Ever ?, Kilbaddie's Bonnie Quine, Farewell tae Tarwathie (Katherine Campell), A View from the Struie, Glens of Foudland, Traveller's Guide to Caithness, Bannfshire Braes, Grease Gun Geordie, Scottish Farmer, Rock a Hula Quinie, Highland Grain, Gaff with no Scales, Mrs Mac's B and B, Shorepath to Kyle, Div ye Mind?